Open The Door To A Healthy Meal - Bonny Was Fat. Not Anymore. In this hectic, work filled life of today, most people find very little tie to do much else apart from their work, and maybe sleep a little. In this scenario, where every moment is precious, most people prefer to not spend time cooking their food but rather call for prepared food from restaurants or food joints. This, however, is problematic for all those people who are trying to lose weight and hence need to cut down on their calories, or people who need to eat only a particular type of food on any given day to meet their dietary requirements and achieve their weight loss goals. This is where diet meal delivery plans step in and save the day. They have been a common trend among dieters since the 1990’s and b the looks of the industry today, the plan is not going to phase out any time soon. When losing weight, along with the daily exercise routine, it is of utmost importance that a person eat calorie and portion controlled meals. However, after a hectic day at work, nobody is really in the mood to cook healthy food and hence meal delivery plans act like a boon for these people. In a diet meal delivery plan, you can choose from various options about the kind of meal that you want and the portion size, and the prepared meal will be delivered at your doorstep. You can also have a different menu for each day and can set the time at which the meal needs to be delivered at your doorstep. It thus takes away the necessity to grocery shop or cook or plan meals every day, and also offers the convenience of having meals delivered at your doorstep. 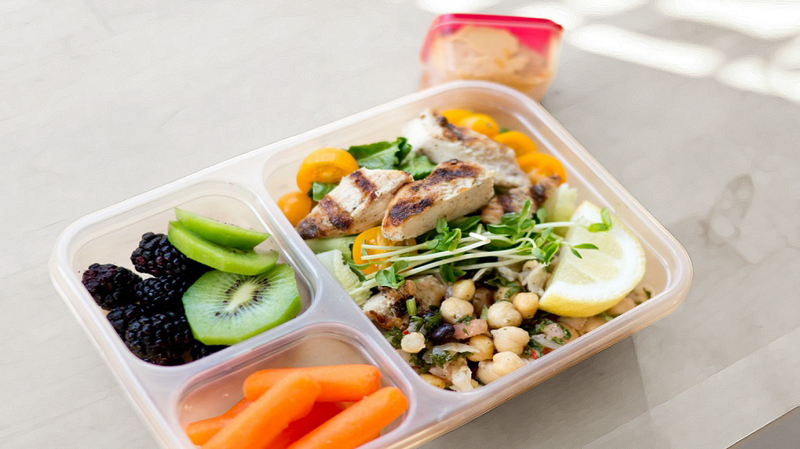 DO DIET MEAL PLANS REALLY WORK? Diet meal plans offer a lot of benefits to people, no doubt, and may seem the best way but are they really as healthy as advertised and should they be traded in for home cooked meals? Talking to certain dieticians and nutritionists has revealed that even though there are no major health problems that can be directly linked to having your diet meals delivered, it is recommended that these meals act only as a backup for days when you are in no position to cook, or should be alternated with home cooked food, in the sense that the plan could be activated for a month and then the next month you could have home cooked food, while re-activating the plan the month after, and so on. This is primarily because it is essential to make sure that the body is not being harmed by all the preservatives or artificial flavours added to the delivered food to increase their shelf life. Thus even though these plans offer a great deal, there is no alternative to home cooking in terms of good health. NutriSystem – It is a U.S. based service that has delivery options ranging from 1 to 4 weeks and its biggest plus point is that it is the cheapest diet meal delivery plan of the lot, without compromising too much on the food quality. It costs roughly $12 a day. The plan essentially emphasizes foods having a low glycemic index, the premise being that low blood sugar levels will result in weight loss. The general nutrition pattern is that the foods contain about 55 to 60 percent of good carbs, and 20 to 25 percent each of proteins and fat. Bistro M.D. – It is essentially a weekly service and provides completely cooked food. The average calorie intake of each meal plan is about 1100 to 1400 calories a day. The service essentially focuses on maintenance of lean muscle mass by heavy protein consumption (about 40 to 50 percent of the total nutrient intake) spread over the day, and lowering blood sugar levels with low glycemic carbs (about 30 to 35 percent). The remaining calories are covered by eating about 20 to 25 percent fats. The meals delivered are flash frozen and can be reheated using a microwave. It also offers free calls to a nutritionist. The other major diet meal delivery systems are Ediets, Jenny Direct, Chef’s Diet, and Medifast. Not All 'Foods' Are Good For You!